Q1. 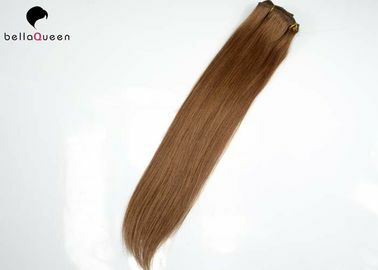 What type of hair clip in hair extension should I use? 3. You could use gel or hair spray to keep the curls in place, but make sure to wash your hair and not leave in these products in for a long time. A: This hair can last for a very long time depending on how you maintain it. Treat it like your own hair and take very good care of it for it to last longer. If you take good care of the hair, it last for over one year. A: Your Hair Extensions can tangle due to being to dryness, oil & dirt build-up, salt-water, chlorine and not combin(wide tooth comb) out your hair daily. Make sure to wash & condition your hair at least once a week, twice a week is better. Use hydrating drops or consult your stylist for more help.